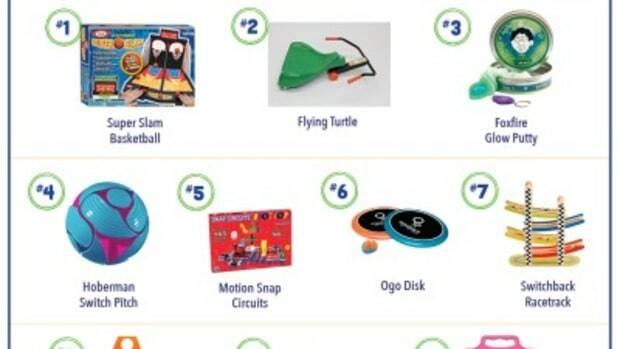 The final review on top toys from the Indianapolis Children’s Museum Store 2014 Top 10 Kid-Tested Kid-Approved Toy list is the Fashion Spotlight Magnetic Playset, #10 on the list. This was a perfect toy for my 4 year-old girls. My girls loved playing with the two different dolls and creating all different types of outfits. It was fun to see their different personalities come out while dressing the dolls. I loved this because it was easy to bring with us in the car (we spend a lot of time in the pick-up line for big brother). The case is easy to open by my girls and keeps all the small pieces contained (while playing and during transport) so that we don’t lose anything. 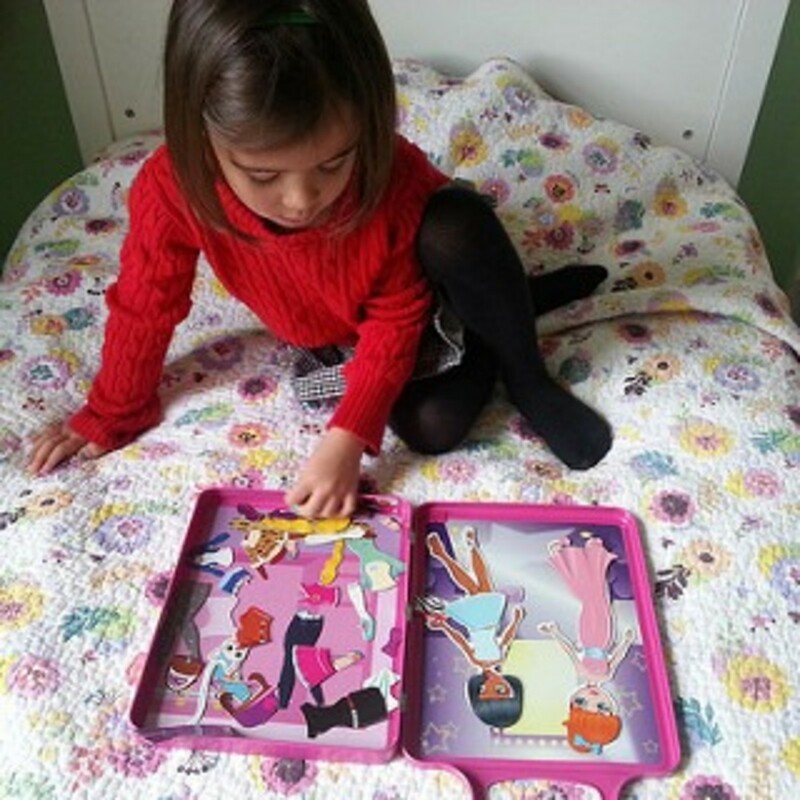 It’s colorful and fun and gives my girls something creative to do. This is a really great toy for quiet time and self-directed play. It’s small enough for me to tote around while running errands and I’d much rather have this on hand than give them my phone to play with. I see why this was voted as one of the top toys for 2014 after seeing how interested my girls were in playing with this toy. We tested these pretty rigorously before writing this blog post and a piece tore as a result of my girls’ playing with it. I called the toy company using the number on the back of the play set and they handled things immediately and with great customer service. 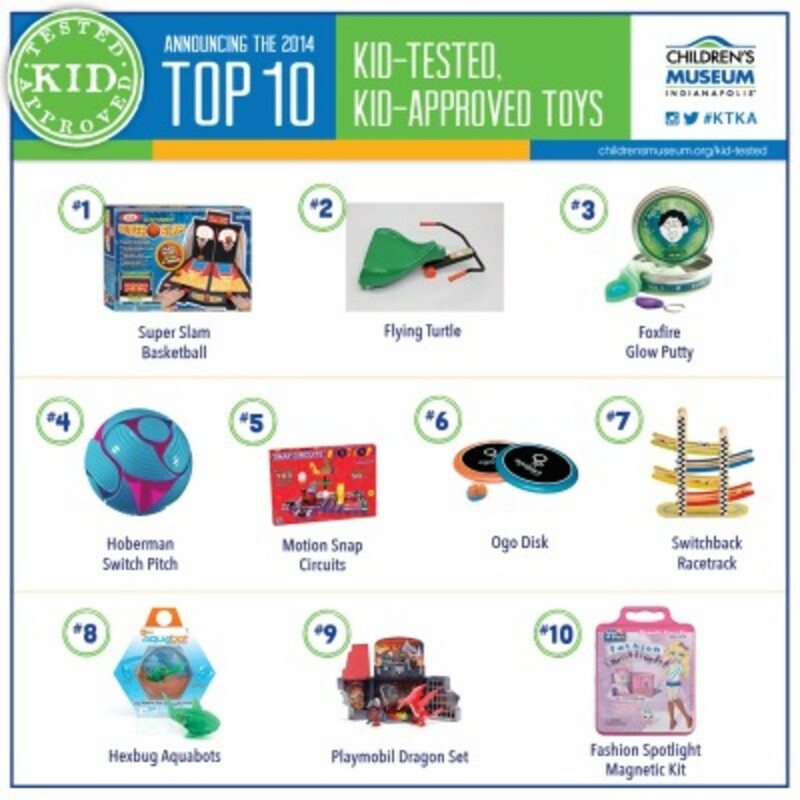 Just another note about the 2014 Top 10 Kid-Tested Kid-Approved Toy List from the Indianapolis Children’s Museum Store – you really can’t go wrong with the top toys on this list. 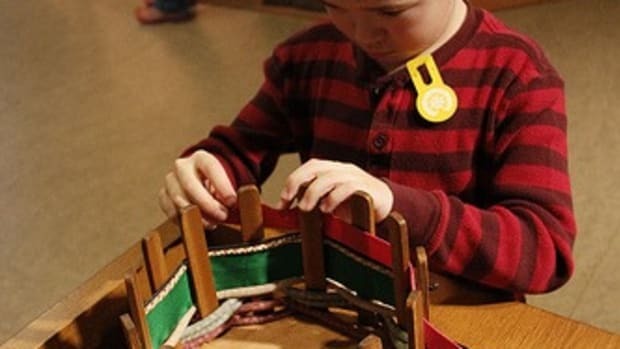 The Children’s Museum store is known for the kid-testing of its toys. You can’t ask for a better recommendation than that of your kids’ peers. We have the #8 Hexbug Aquabot from last year and my kids love this cool little toy that kicks into high gear when it’s dropped into water. I have my eye on other things from the list and even off the list. The last time I was in, I saw a foam pogo jumper that I will be getting this year for my kids. 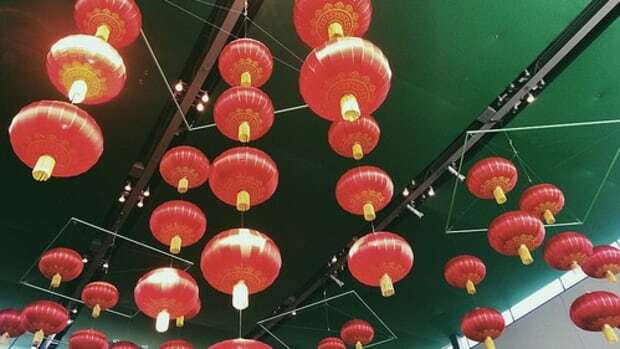 Look for it. I’m all sorts of excited over it. You will find toys for ages zero on up. 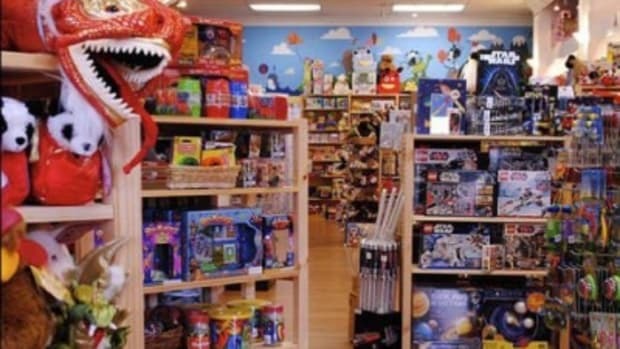 You’ll find name brand toys but also specialty toy store exclusive items. And of course, purchases support this amazing museum! 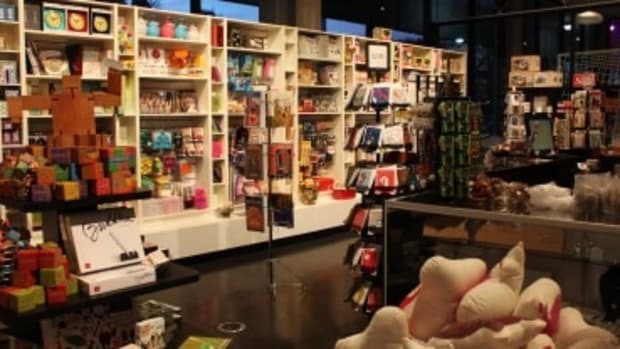 In case you didn’t know, members always get a discount at the Children’s Museum Store (online and in the store). 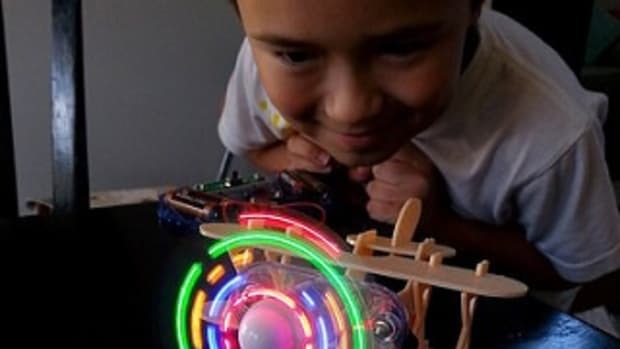 Make sure to read our reviews about #3 Foxfire Glow Putty and #5 Snap Circuits Motion from the Indianapolis Children’s Museum Store 2014 Top 10 Kid-Tested Kid-Approved Toy List. As stated in my other posts, the Indianapolis Children’s Museum Store provided toys for us to test and review. All opinions are my own.